The discoverability of communications between a client’s legal counsel and third-party professionals was recently addressed in a decision by the Superior Court of Pennsylvania. The case involved a doctor who filed suit against various health care providers after the defendants allegedly accused the doctor of conducting medically unnecessary heart procedures on patients. According to the complaint, when the defendants learned from other physicians that the plaintiff was conducting the supposedly unnecessary procedure, they hired two outside professional consulting firms to evaluate the medical necessity of the procedure used by the plaintiff. The consulting firms issued independent reports to the defendants that indicated the plaintiff had performed medically unnecessary procedures at the defendants’ facilities. After the third-party consulting firms issued their reports, the defendants hired outside legal counsel and a public relations firm to advise as to whether they could publicly announce the conclusions of the consultants. The attorney prepared an opinion letter, which was forwarded to the public relations firm, at which time the defendants publicly announced that the plaintiff had performed unnecessary procedures. The plaintiff responded by filing suit, alleging that the consulting firms’ reports were merely a pretext to prevent the plaintiff from competing with the defendants’ other physicians. During the course of discovery, the plaintiff requested all documents relating to the decision to make the public disclosure, including the opinion letter drafted by the defendant’s counsel. The defendants objected to the requests, claiming that the attorney-client privilege precluded discovery of this communication. 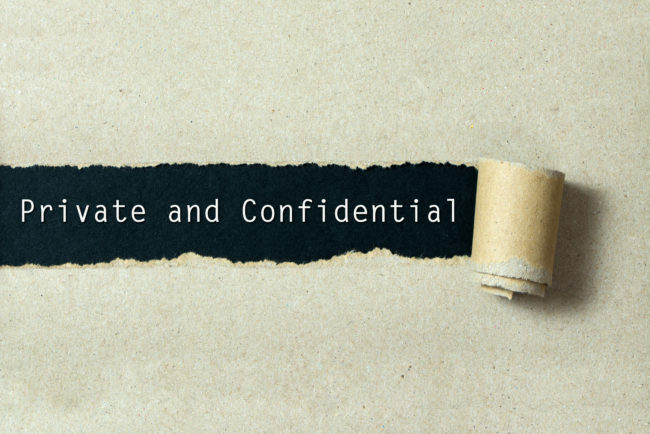 In deciding whether the opinion letter was discoverable, the trial court ruled that because the defendant’s counsel had disclosed the letter to an outside public relations firm, the attorney-client privilege was waived. On appeal, the Pennsylvania Superior Court noted that under U.S. v. Kovel and its progeny, the attorney-client privilege may extend to communications between a client and third party if the third party was employed to facilitate the legal advice rendered by the lawyer. However, after reviewing the record in the case before it, the court reasoned that the defendants had not presented any evidence that the third party public relations firm was retained to aid in rendering legal advice. Accordingly, the court concluded that the attorney-client privilege was waived by disclosure to a third party, and that the letter was discoverable. Clients and their counsel must be cautious when sharing legal advice with third parties, even those hired by the client or counsel. The mere fact that a third party professional is hired to assist an organization at the same time that it is receiving legal advice from outside counsel, does not necessarily guarantee that communications between the organization and the third party fall within the protection of the attorney client privilege. In order to help ensure that communications remain privileged, the engagement agreement with the third party should specifically establish that a Kovel relationship exists and that communications with the firm are made in confidence for the purpose of obtaining legal advice from the lawyer. If there are no grounds for such a relationship, then communications by the client or counsel with the third party professional could be discoverable in litigation.